Each class lasts an hour, except for the trial lesson which is free and takes 30 minutes. Prices are listed at this link. 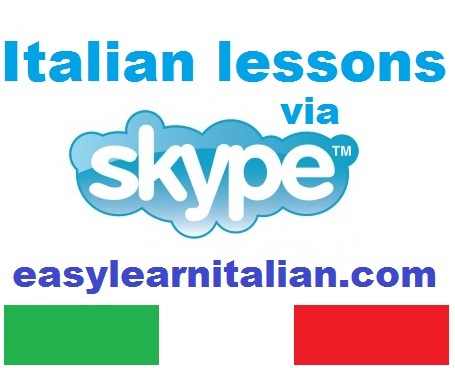 The lessons take place on skype directly with a trainer. Lesson times will be agreed directly with the teacher. In addition to video call lessons, you will receive educational materials and further study for each lesson. You will be provided with free exercises to do between one lesson and another. The teacher that will be assigned to you will be at your disposal for advice or clarifications even outside of lessons and you can contact them through their email. Lessons of grammar and language comprehension. Each lesson lasts one hour during which you will discuss elements of grammar, vocabulary, reading and listening. 2 Lessons with specific emphasis on the following subjects: History, Literature, Art History and Philosophy. For this type of lessons is recommended to have at least an intermediate level. 3 Conversations on topics chosen by the teacher such as: Cinema, Music, News, Economic and Political situation in Italy, etc.. Conversations may include discussions on books or films. 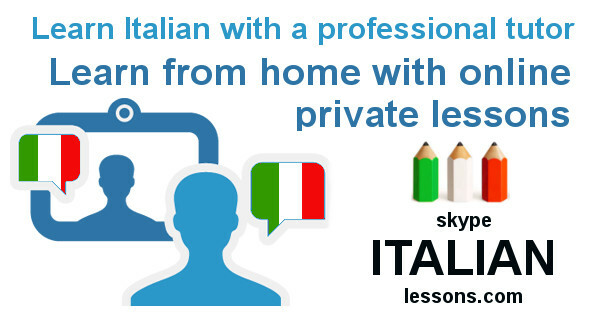 The conversations will take place with a teacher who will help you with pronunciation, vocabulary and grammar. ordering in a restaurant, and how to get around by public transport.